Today is International Women’s Day! In addition to my work online and face-to-face with women as well as with the products offered by our shop, I support two resources that help make every day “international women’s day.” I sponsor a woman through Women for Women International and I keep multiple microloans going at Kiva – Loans that change lives. We started making Kiva loans in 2012 when we covered economic freedom in the Cakes for the Queen of Heaven feminist spirituality class I was teaching at the time. We decided to put our money where our mouths were and make a collective loan, from our women’s circle to a women’s circle somewhere else in the world. We collected $50 from the members of the circle and I made two microloans to two different women’s groups, both in Senegal. A few more women contributed in later months, I contributed another $25 of my own and we got a $25 referral credit, and I’ve steadily kept microloans going there ever since, loaning a total of $650 to 26 different women’s groups in 19 countries since we began. The cool thing is that this did not cost me $650, instead it is the same, original money from that long-ago Cakes for the Queen of Heaven class that I keep relending as soon as my Kiva account builds up to $25 in repayments. There are 7 loans currently going, from what was originally only $50. Just a drop in the bucket. I encourage you to do this too! I’m offering a new, free Earthprayer e-course beginning April 10. My Red Tent Initiation and Practical Priestessing courses are coming up soon! There are a few spots left in each and we’ll accept new participants until March 10th. I’m getting packed up for a Red Tent Circle tonight. There will be singing and dancing and wild women. It feels so appropriate that we reach this quote about powerful singing at the same time! Supplies packed up to make manifestation bracelets. 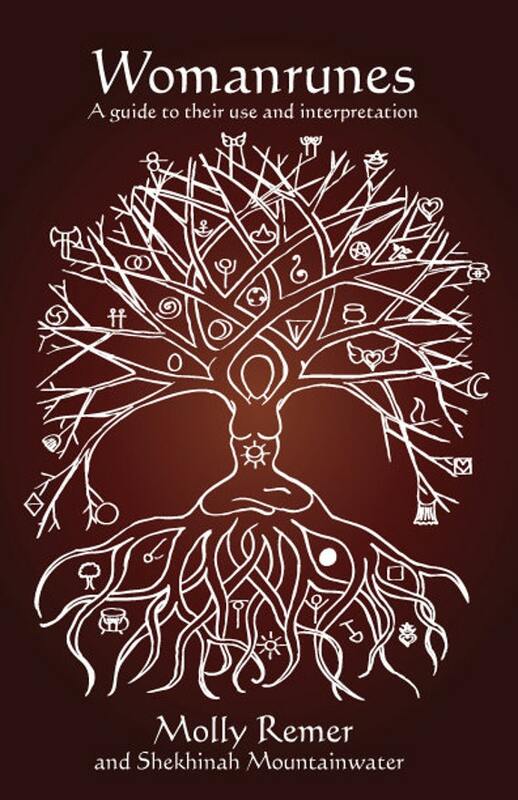 Our new Womanspirit Initiation program in practical priestessing begins on the Spring Equinox! I’m really thrilled to do this. Since it is the inaugural offering of this program, I’m offering an “early bird” registration option until February 15th. There are 19 spaces currently available in the training. What is your motivation for leadership? The title of Priestess sounds mystical, powerful, and conjures up fantasy images of flowing robes, crescent tiaras, charged magical tools at your fingertips, and rooms full of chanting, awe-eyed devotees lingering on your every muse-inspired word. You dispense wisdom directly from the Goddess Herself, channeled in perfection to the unquestioning multitudes that wait and depend on your guidance. This program is more than just a class, it is a process of discovery, preparation, and initiation. 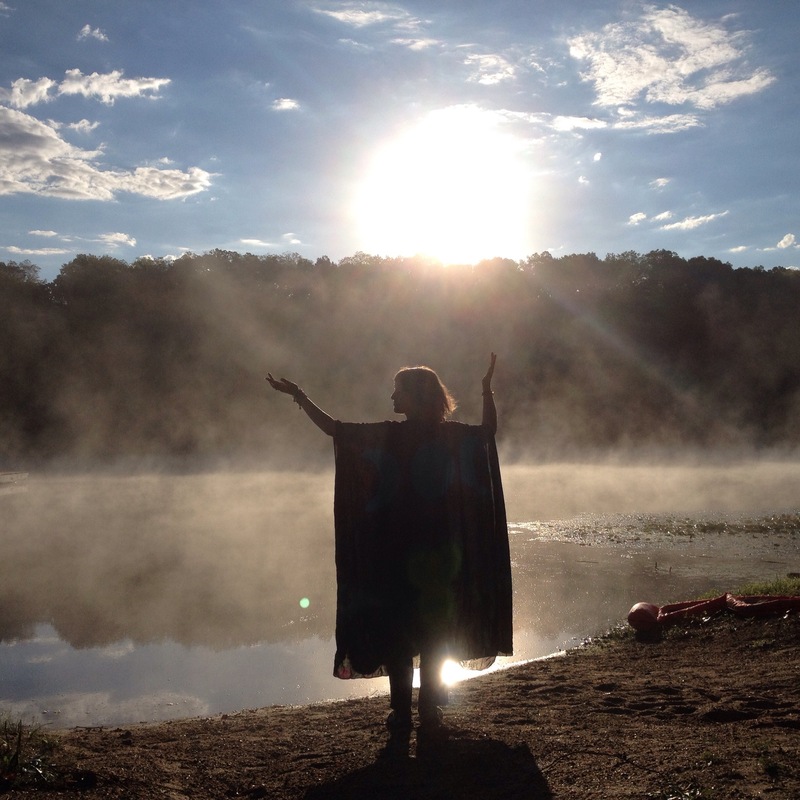 What does it involve to do womanspirit priestess work in a variety of settings, including women’s spirituality circles, seasonal ceremonies, family celebrations, rites of passage ceremonies, rituals, and retreats? That’s what we’ll uncover, explore, and share together! Of course, we’ll also create plenty of magic and deep, transformative personal experiences, it isn’t all about candle wax! You also get a fabulous resource kit of real supplies, including a brand new spiral goddess sculpture in deep purple. These questions of candle wax priestessing connected deeply with the priestesses in the research group, with many sharing stories of candle-wax, or accidental fire, related experiences. 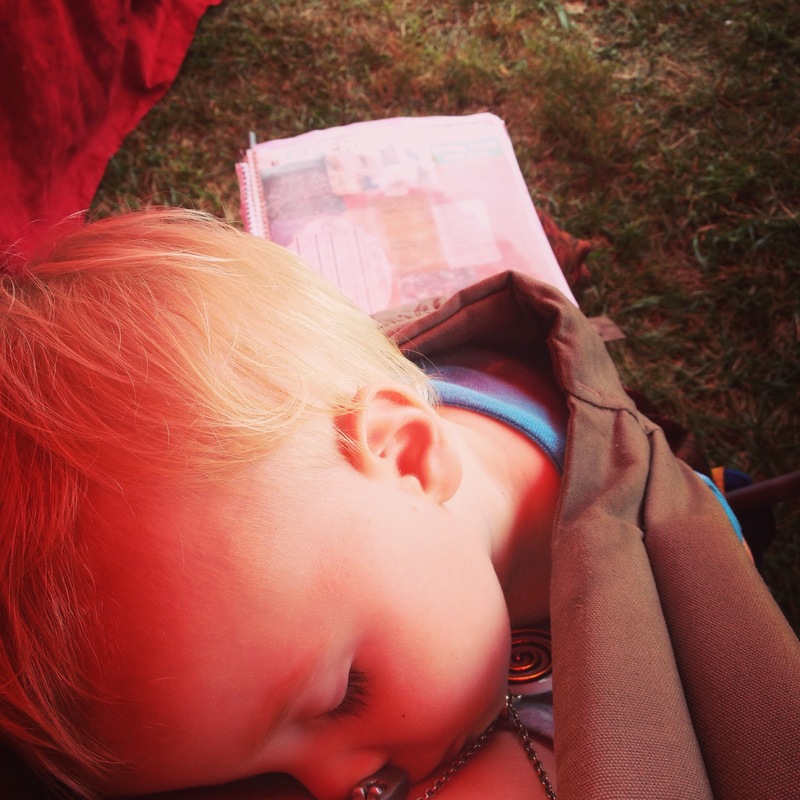 One of my own moments was when I beat out the flames on the altar table with my sandal while wearing my baby daughter in a pouch on my chest while working in Brigid’s Temple at the Gaea Goddess Gathering in Kansas. Womanspirit Initiation is a sister program to the Red Tent journey I offer (and love!). 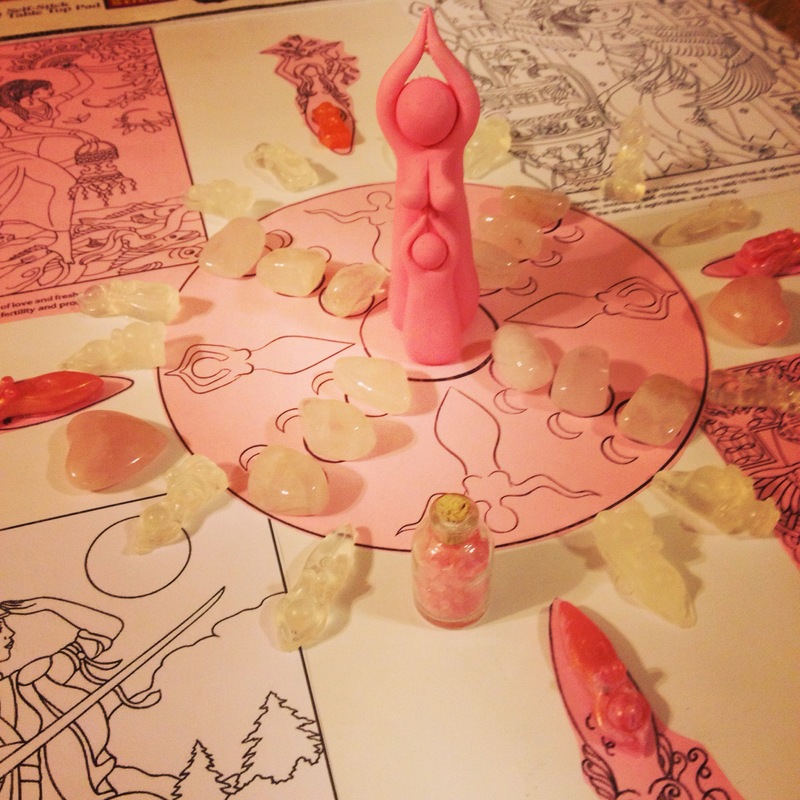 I think it is funny that I developed the priestess course second, because I’ve been planning and facilitating women’s rituals and retreats for many more years than I have been facilitating Red Tents, but that is how it emerged! I explore some of the differences between the two programs in this post: What is the difference between a Red Tent and a Women’s Circle? If you are currently enrolled in the free Womanspirit Wisdom mini class you will get a $25 coupon code that can be combined with the early bird registration. This coupon will arrive in your email on February 12. I’d love to walk this spiral path of initiation, discovery, and practical leadership with you! What is the difference between a ritual and a ceremony? In the course of my dissertation research, the subject of the differences between ritual and ceremony arose as one of the spontaneous questions under consideration. There are many ways to use the words and people tend to gravitate towards one over the other. I realized in our conversation, that I perceive a distinction between the two words and use them in slightly different contexts, but it is difficult to pinpoint the exact difference. Is it just personal preference? Is it tradition or habit? How do you use the two words? I find that for myself personally I have increasingly begun using the word “ceremony,” because to me it denotes something dynamic and alive. Ritual sometimes implies repetition or roteness. Ceremony implies living, changing, evolving, as well as celebration. I think ceremony is about a sacred approach to the world. However, both can be a collection of actions, a sacred container for experiencing and shared experience, and a process of honoring and celebrating. I also use the terms somewhat interchangeably–i.e. “a women’s ritual” or a “ceremony for my pregnant friend.” I’ve still been trying to puzzle out the distinction between when and how I use the words. 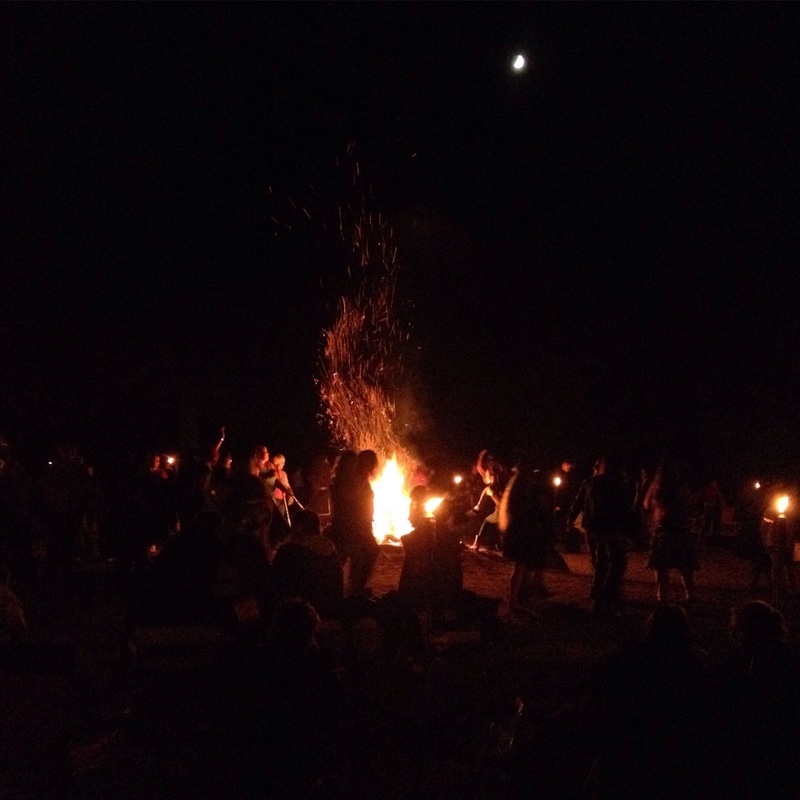 We have “full moon rituals” and seasonal rituals and then I have “ceremonies” for specific occasions–like a maiden ceremony or a baby naming ceremony. 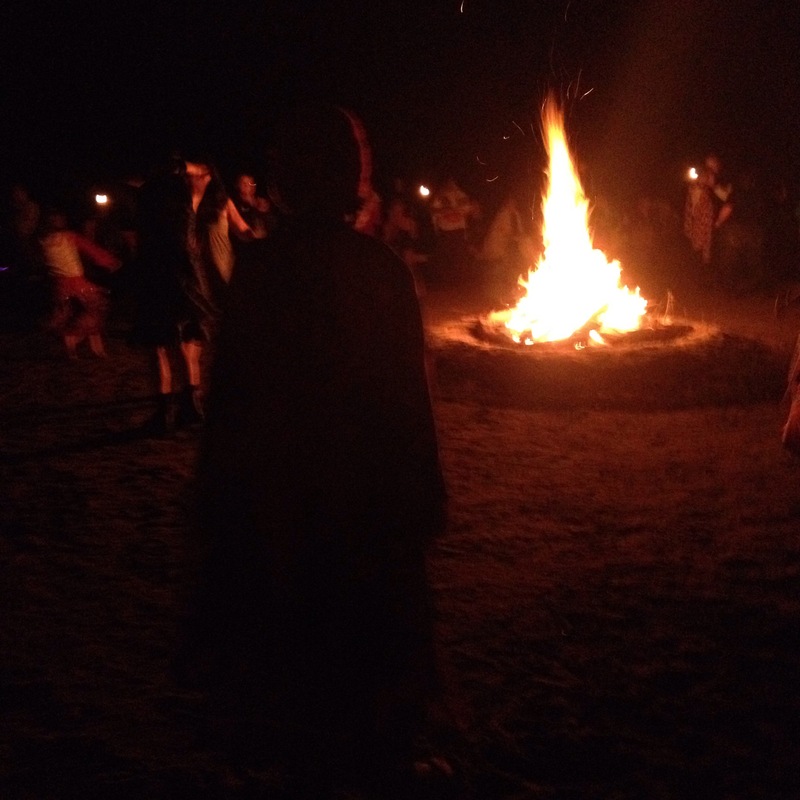 I’ve also noticed that ceremony feels like a “safer” and more expansive word to me when describing what I do, because ritual might sometimes be associated with “ritualistic” which can have negative, “occult,” or abuse-associated connotations for some people. “Native American. Ritual has to do with acts of Nature energies, primarily shamanic. Ceremonies have to do with set forms of spiritual connections. Western Occult. Ritual has to do with energies of soul or spiritual levels, set form. Ceremonies have to do with Nature or elemental energies, some set form. In this context, Wolfe primarily identifies ritual as set or fixed and ceremony as free-flowing, spontaneous, or co-creative. Living ceremony. In my research group, the women turned the question over, with one reversing my own use of the terms (ritual = more habitual, scripted, and formulaic and ceremony = living, evolving, active, and embodied) explaining that in her experience: Although ritual can involve ceremony to a lesser or greater degree – the ceremonial aspects are simply trappings. They are the outward visible signs of an inward reality – the embodiment of the ritual enactment within the participants. On the one hand, “doing ceremony” can be seen as trivializing ritual, the ritual process, the ritual prayer. It is an outward sign. How many times have we experienced ritual – liturgy – perhaps in a traditional church setting, and known that the presider is simply going through the motions. The presider is “doing ceremony” or “saying the mass” — there is no determinable connection with those present. If one acknowledges such things, Spirit is lacking, although many in attendance will contest that observation. However, and I have experienced this myself, when the presider truly connects Higher Power and with those in attendance — truly becomes that vessel of connection — is embodied, then ritual is transformative. In the book Sacred Ceremony by Steven Farmer, he differentiates the two based on how they change or not. Ritual, to him, is something that doesn’t change–it is always done the same way. Ceremony, to him, is alive and evolves, adapts, and changes. Another participant pointed out that ritual is the way of enacting ceremony. The two cannot be separated—ceremony is used as a noun and ritual is used as an adjective (though this isn’t actually the case in common use, in which ritual is often used as a noun). As I’ve typed, I realize that I may personally be more likely to use “ritual” in terms of holidays/calendar-associated events and ceremony with regard to life passages, rites of passage and celebration. I also notice I have a blog category for ritual, but not for ceremony, which indicates that my personal semantics have evolved since I began this blog. I would love to continue to expand this section. What are the differences in the words to you? Which do you prefer using? Do you use both, but in different contexts or purposes? Is one an inner experience and one an outer one? Is one solitary and one communal? Does your choice of word depend on your “audience”? Speaking of ritual and ceremony, I’m almost finished with our free Brigid’s Day ceremony kit! And, for a very reasonable price, we’ve also developed a digital version of our Mother Blessing Facilitator Kit. 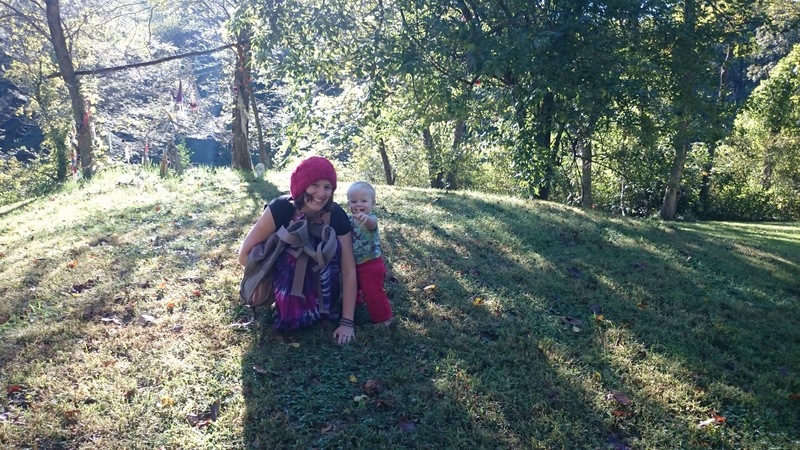 When I became ordained as a priestess with Global Goddess in July of 2012, one of the commitments I made as part of ordination was to be of service in some way to the organization and to document my service to my community through the year. So, in keeping with that commitment, I made a year-end summary post at the end of 2012 and at the end of 2013 and 2014. It is helpful to me personally to see everything grouped together in one post and see that I’m truly doing this work. I enjoy sharing my post each year with the rest of the GG community in hopes of encouraging others to keep a record of their own. To continue this commitment, I again kept a list during 2015 and here it is! 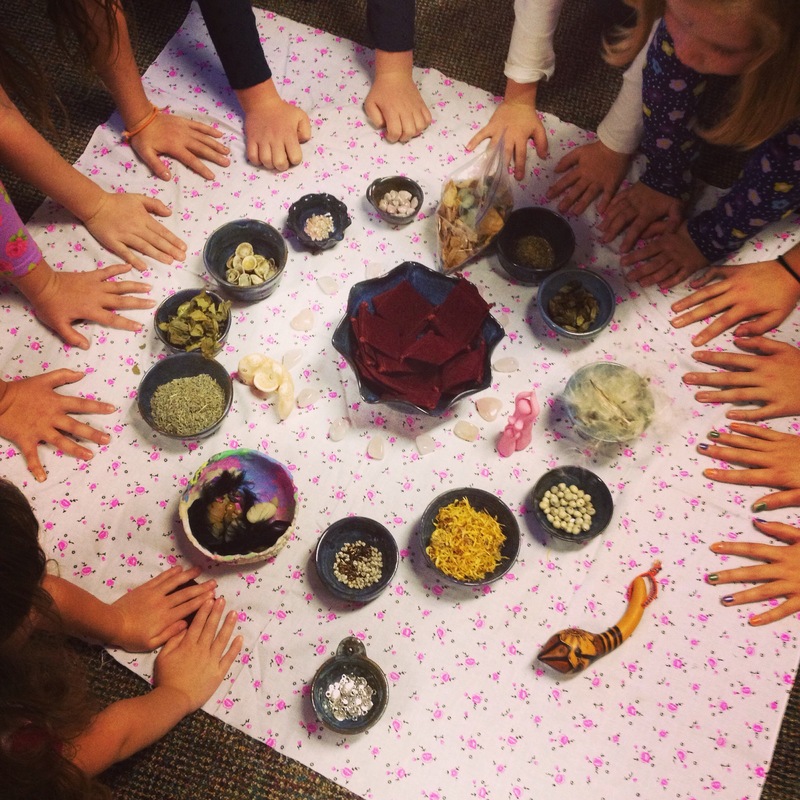 January: family full moon ritual (1/5), beta test priestess class based on Stepping Into Ourselves (they also offer a free intro to priestessing course). Reprinted Womanrunes book with a few revisions and updates. March: full moon ritual (3/7), Sacred Year manifestation ritual (3/8). Family Spring ritual (3/14). Red Tent (3/21). April: full moon ritual (4/5). Red Tent (4/17). Spring women’s retreat (4/25). September: Red Tent (9/11). Interview during virtual Red Tent for Journey of Young Women twice. Interview on Goddess Alive radio. Autumn family drum circle. Mini full moon/eclipse ritual. 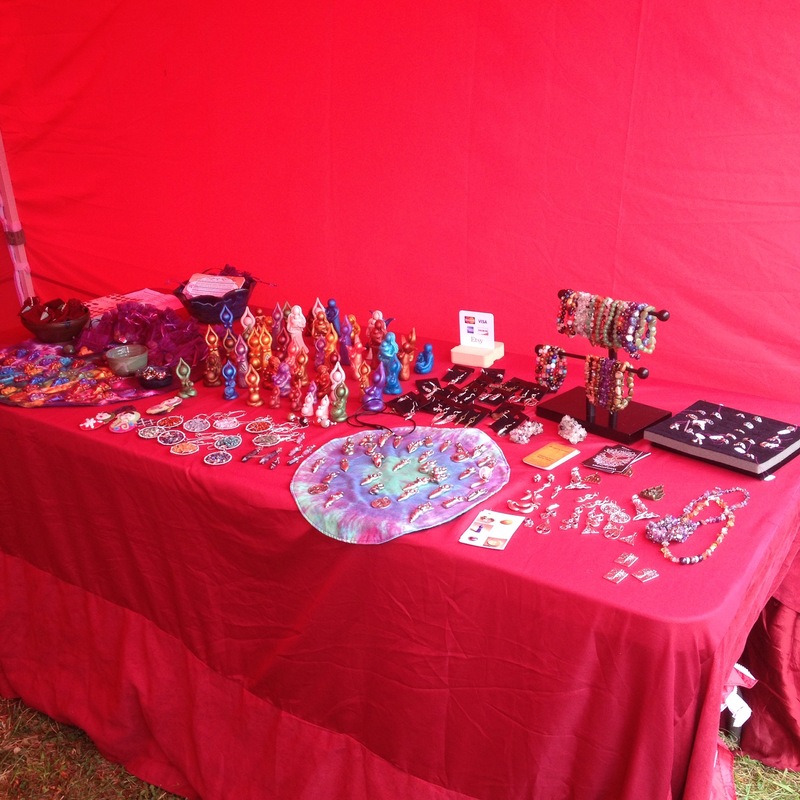 Went to Gaea Goddess Gathering as vendor and participant. Added 20 pages to and re-released The Red Tent Resource Kit. Reprinted Womanrunes book with a few revisions and updates. Free Introduction to Womanrunes course opened. November: Pink Tent ceremony for mothers and daughters (11/6). Family full moon ritual. Completely unanticipated for 2015 was my “raising” of my own tiny Goddess temple in the woods in which I have happily worked for the last two months and in which I plan to hold small rituals and celebrations throughout 2016. I wrote 179 posts here in 2015, which was a dramatic increase from previous years, primarily because I took four different 30 Days seasonal ecourses from Joanna Powell Colbert and posted almost every day during those courses. I continued to host a Priestess Path group on Facebook and began doing dissertation research in this group over the course of the entire year, eventually collecting more than 100 pages of original research thanks to the thoughtful and generous contributions of the practicing priestessing in the group. I started a new Facebook group for Brigid’s Grove: Creative Spirit Circle, as well as maintaining the Brigid’s Grove and Woodspriestess Facebook pages. In keeping with the commitment I made upon my ordination, I contributed articles to 7 issues of The Oracle, the online journal of Global Goddess: Imbolc, Beltane, Summer Solstice, First Harvest, Samhaim, Fall Equinox, Winter Solstice. The Goddess of Willendorf and Does My Uterus Make Me Look Fat? I also wrote 23 posts for my blog at SageWoman magazine. I moved some of my blog writing to Brigid’s Grove, creating 86 posts there in 2015, and I will continue to do more and more of this as I phase out some of my other blog commitments. One of my biggest goals for 2015 was to finish my last two D.Min classes (which I did) and my dissertation (which I didn’t). As occurs each year, when I write my year-in-review post, when I read this over, it comes up for me to wonder if writing a post like this looks “smug” and self-congratulatory in some way. Am I too focused on numbers and hours and quantifying something instead of presence? Too much do-ing and not enough be-ing? But, in truth, the intention with which each year’s list is created is simply as an accountability thing—both in terms of the vows I made to my community as well as to myself. It is so I can see, collected in one place, what I’ve offered as a priestess this year. It is to allow me a moment of pause, reflection, review, and a sensation of a job well done, rather than immediately rushing off to the next thing, as I tend to do. In reviewing the past year, I am able to see that yes, I am doing this work. I am not just talking about it or imagining it, I am walking the path. I also have to shake my head with some self-compassion and a smile when I recall all the times I worried that I haven’t been doing “enough” or everything that I’d like to do and offer to my community. It was a beautiful year! Maybe this picture seems a little “bright” for our themes, but I realized it is actually perfect for the photo prompt today! I’m getting ready for our first mother-daughter Pink Tent event tomorrow night. My husband made the new sculpture in the center of the photo especially for our circle. ❤️ The Womanrunes card I drew this morning was the The Dancing Women (rune of celebration), which felt very appropriate too. Cross posted at Talk Birth and Brigid’s Grove.